When it comes to value, Kenmore is hard to beat. 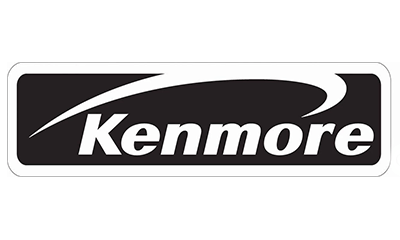 When even the elite versions of Kenmore washers are priced competitively, we understand that it may be tempting to buy a new washer rather than repair a broken model. However, washing machine repairs are often significantly cheaper than customers expect, and almost always less expensive than purchasing a new washer. At It Is Fixed, we love savvy shoppers. We work hard to keep our rates low. Our service fee is well below industry standard, and when you complete a repair we waive the service fee entirely! 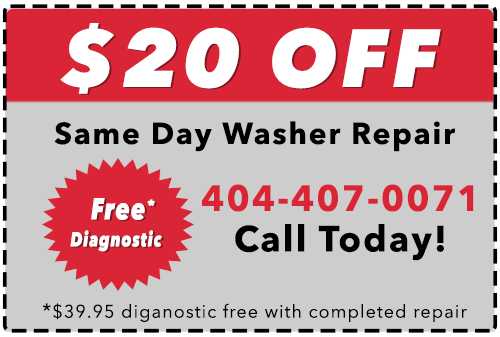 When it comes to Kenmore washer repair, you won’t find a company that has more experience at cheaper prices. The quality of our service is guaranteed. Call or schedule online today! F/H, F/H, LF Washer not filling This error shows when no water is flowing through the washer. Check the cold and hot water inlet valves and ensure they are in the fully open position. Check the end connectors of the hoses for any debris buildup or blockage. Make sure the inlet hoses are not kinked or damaged. Also check the inlet filter and ensure it is not clogged. If the issue persists then check the inlet water valve assembly and make sure it opens and closes on cycle start; if it doesn’t then the inlet water valve assembly will need to be replaced. F/02, F21, Ld Wsher Will not drain This error occurs when water does not correctly drain. Inspect and remove any kinks on the drain hose. Check the drain filter and ensure it isn’t obstructed. This issue can also be caused by a clogged or blocked drain pump. First unplug the washer and cleaning the drain pump. Then check the wiring connections between the motor control board and the main control board, fixing any loose connections or bad wiring. If the wiring is okay then replace the drain pump. F/05, F24 Water temperature sensor error The temperature sensor (thermistor) is detecting incorrect water temperatures. Check the hot water heater for problems generating hot water. If the water temperature is still erroneous then unplug the washer and inspect the wiring between the main control board and the water temperature sensor, connecting any loose wiring found. If the wiring is okay then replace the thermistor. F/06, F25 Drive motor tachometer error This error indicates an failure on the motor tachometer. Unplug the washer. Check to see if the tub spins freely. If it doesn’t spin freely, then remove the drive belt and try to see if the motor pulley spins freely. If it is stuck in place, then remove and replace replace the drive motor. If the tub doesn’t spin freely but the drive motor does, then replace the spin bearing connecting the outer tub and the spin basket. Check the wired connections between the motor control board and the drive motor. If the wiring is okay, then replace the drive motor as the tachometer is integrated into the motor assembly. If the problem persists then replace the main control board. F/09, F27 Overflow If your washer overfills with water, then unplug the washer and let the excess water drain. If the water continues to build then turn the water inlet valves (hot and cold) to the fully closed position and wait for the water to drain. Replace the water inlet valve assembly. If the problem persists then check wiring between pressure sensor and main control board. If the wiring is okay then replace the pressure sensor. If this doesn’t fix the issue then replace the main control board. F/13, F30 Dispenser system failure If your washer doesn’t dispense detergent / softener correctly (if you hear mechanical clicking sounds) then first unplug the washer and inspect the dispenser mechanism for wear or damage. Check the wire connections between the dispenser actuator and the main control board, fixing any loose or frayed wiring. If the wiring is okay then inspect the actuator cam and levers for smooth movement. If the cams and levers are okay then replace the dispenser actuator. F/14, F01, F/15, F11, F31, Er Motor control board error This error indicates an electronics fault between the main control board and the motor control board. Unplug the washer and inspect the wired connections between the main control board and the motor control board. If the wiring is okay then replace the motor control board. If the problem still persists then replace the main control board. Sd, SL Excessive suds Too much detergent, especially High-Efficiency (HE) detergent, could cause too many suds to be generated. Stop the cycle and wait for the suds to dissipate (this can take up to 30 minutes), then restart the wash cycle without detergent to rinse any remaining detergent out of the washer. F/dL, F22 Door lock error This error occurs if the door does not lock. Unplug the washer and inspect the wiring between the door lock assembly and the main control board. If the wiring is okay then replace the door lock assembly. If this doesn’t fix the issue then replace the main control board. F/dU, F29 Door unlock error This error occurs if the door does not unlock. Unplug the washer. Then remove the front service panel and pull the manual release lever. Inspect the door lock assembly for debris and remove any debris present. Inspect the wiring between the door lock assembly and the main control board. If the wiring is okay then replace the door lock assembly. If this doesn’t fix the issue then replace the main control board. F23 Heating element failure This is an error in the heater relay. Unplug the washer and check the resistance across the heating element using a multimeter; this should read approximately 15 Ohms. If the value lies outside this range then replace the heating element. If the error code persists then remove and replace the main control board. FL Overfill level reached Water overflow could be caused by a stuck open water inlet valve. If the valve is stuck open, then remove and replace the faulty inlet water valve. If the valve is not engaging correctly or not filling constantly when unplugged then the electronic control board needs to be replaced. If water continues to fill even at “full” level then the level switches will need to be replaced. Some newer models have a flood level pressure switch that may also need to be replaced if it doesn’t detect that a water overflow has occurred. F26, LS Door switch error This error occurs if the door hasn’t opened for three consecutive cycles. To remedy this open the door and close the door to clear the code, note that the door will need to be fully mechanically closed. Unplug the washer. Then remove the front service panel and pull the manual release lever. Inspect the door lock assembly for debris and remove any debris present. Inspect the wiring between the door lock assembly and the main control board. If the wiring is okay then replace the door lock assembly. If this doesn’t fix the issue then replace the main control board. rL, OU or F34 Load inside the washer during the Clean Washer cycle The clean washer cycle cannot run with items inside the washer. Remove all clothing from the washer and restart the Clean Washer cycle. If this error code occurs even with a clean tub then the spin bearing on the outer tub will need to be replaced. Ob Unbalanced load Stop the cycle if the washer excessively knocks or vibrates. Open the lid and remove any excess clothes and redistribute the remaining load. When finished, resume the cycle. Additionally, this can occur if the load is too light, in this case add additional clothes during the rebalance. This may occur more frequently with large items like comforters.